Sylvester Stallone is finished with Rocky Balboa. The actor posted a final farewell to the Rocky character on social media a day after announcing that he was officially finished. This is sad news for a lot of fans, but at least Stallone is going out on top with the release of Creed 2, which debuted with $55.8 million at the box office, making it the biggest opening in the franchise's lengthy history. It was rumored before the sequel hit theaters that Stallone was going to hang up his boxing gloves, but that has now been confirmed. Putting an end to Rocky Balboa was not an easy decision for Sylvester Stallone. When he made his first announcement, he noted that it "broke his heart," before saying, "sadly, all things must pass... come to an end." The announcement created an abundance of support from fans all over the world. Stallone is clearly touched by all of the love, so he posted one more "final farewell" on social media. He had this to say. "Yo, due to the overwhelming and loving response to this wonderful character, I just want to say one last final farewell... Thank you again (from) the bottom of our hearts." Sylvester Stallone can still hang with men and women more than half of his age at the gym, so that makes his decision tough for some fans to take. However, at the age of 72, the man has to slow down at some point, which leads us to Rambo 5. The sequel is currently in production and is expected to hit theaters next fall. Now that he has retired Rocky Balboa, it's easy to see that John Rambo may be next after production wraps and the sequel is released. Creed 2 and Rocky IV co-star Dolph Lundgren isn't so sure that Sylvester Stallone is finished with Rocky Balboa. Lundgren says, "I've heard that before. I don't really believe it, but we'll see." While Lundgren knows Stallone on a personal level, it really looks like the actor is finished with the Rocky franchise this time around. Now that fans have seen Lundgren's Ivan Drago back with Stallone's Balboa, there were hopes that another sequel would get made, focusing more on the life of Drago and what happens after the events of Creed 2. Related: Will Creed 3 Bring Back Mr. T as Clubber Lang? 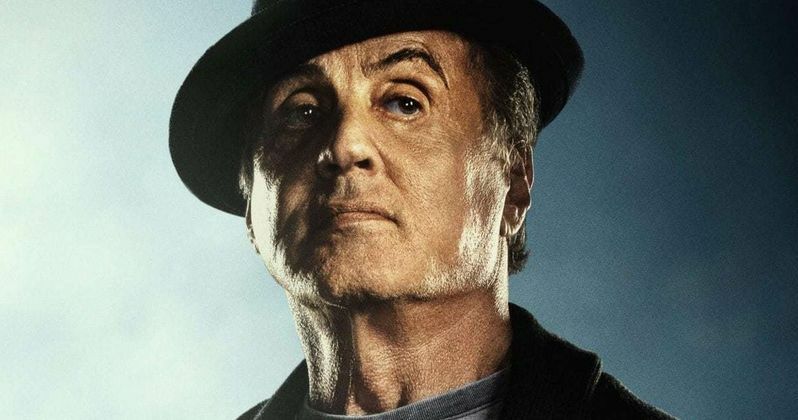 For now, it looks like Sylvester Stallone is officially finished with the Rocky franchise. Stallone has teased and announced this before, so it will be interesting to see if he stays true to his word this time. Stallone could be preparing to say goodbye to two of the most iconic characters in cinematic history in one year. We'll just have to wait and see what the actor says when Rambo: Last Blood is released next fall. For now, you can check out the two "final farewell" messages below, thanks to Sylvester Stallone's Instagram account.